Above : my version of an advent calendar. 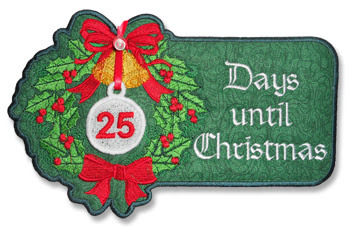 25 little free-standing lace baubles numbered 1 to 25 are hung on the wreath each day counting down to Christmas. Just add a magnet or two at the back and slap it on the refrigerator. Then no-one will forget how many days to Christmas! I love Christmas time! Putting up the tree, making mince pies, sending out cards and wrapping gifts has always been a time of great joy for me. As a kid my Mom used to buy a Cadbury's Advent Calendar for me. I would open each little window over the 24 days of Christmas, my mouth drooling at the thought of the small chocolate hidden behind the paper panes. As each day drew closer to the big day, gifts would 'grow' under the tree. My mother's explanation was that some of Santa's elves were delivering each night because the big man himself just couldn't manage to do ALL the gift deliveries in one night! As a grown-up (some people would debate that) I still enjoy the silly season. Nowadays with no kids in the house, we don't put up a tree like we used to. That's also because the kitties destroy it and on Christmas morning the poor thing looks like its been dragged through a fence backwards! 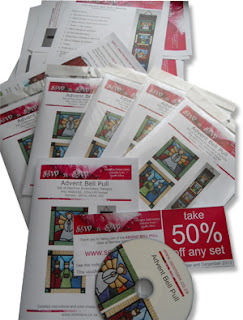 Nevertheless, we do have mince pies - thanks to Woolies - and cards are now sent on FB and email via cyberspace. We BBM our kids as they enjoy Christmas with their significant others. We don't do gifts either anymore. Well, not wrapped ones. Instead, we buy ourselves Harley gear and we wear it all for those 24 days leading up to the day while we enjoy the hot South African summer as we ride our bikes. Then, on Christmas Day, we whip out the Weber, pop some chickens in it, make a salad or two and drift around the swimming pool with an ice-cold drink in the one hand (of course with as much alcohol in it as we can stand) while the other hand serves as a paddle for the lilo we're bobbing around on! Then, as the day winds to a close, we lather sun-screen on our too-late it's-already-burnt shoulders and backs and we gently sink into a lukewarm bath to 'sting' away the burn! Yip! I love Christmas time! Ta da! Here it is! My Advent Bell Pull could also be called an Advent Wall Hanging considering we don't have bells and butlers any more. Well some of us don't! Designing and stitching this out was sooooo enjoyable. And I do hope my Monthly Project Club members enjoy making it as much as I did. I love Christmas time! Even though it's hot as hell here in SA, and we have braai's (BBQs) and beers and swimming around in the pool, I still do the traditional mince fruit pies at breakfast time, a gammon for lunch and fruit cake (which my DH makes) for tea in the afternoon. The entire project (except for the final binding) was made and put together IN THE HOOP. 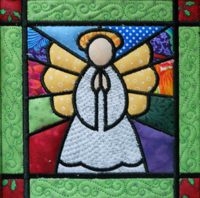 The blocks are appliqued, embroidered and quilted without removing the project from the hoop. And even the backing is all done - yup, you guessed it - ITH! I think it would make a wonderful addition to any church over the Festive Season and will donate this one to my friend Reverend Jen for her church. She is such an inspirational woman and leads a congregation out in one of the poorer areas of our country. A couple of years ago, I went out with Reverend Jen to an informal settlement where a little school of 60 children is housed in an old bus. I was taken aback at the abject poverty in the area. There were no flushing toilets, they had to get water from a tank 100 yards up the road and the children were aged between 2 and 6 years old. Most of them were orphaned and lived with relatives or siblings. The school is run on donations alone so that these childrens' keepers (who are mostly sickly) do not have to pay. Each child is fed at the school each day. Food is donated by large supermarkets to Rev Jen and she delivers it out there once a week. The Foundation I work with paid for the school to get running water and toilets and I returned one day with a toiletry kit of toothbrush, toothpaste, facecloth and soap for each of the kids. Most didn't know what to do with these items. We don't realise how fortunate we are. And at Christmas time this year, I will be doing a Random Act of Christmas Kindness (RACK) every single day for the 25 days leading up to Christmas. In some small way I hope to make those who are desolate a little happier at the time of year when we are all enjoying good cheer. So, why not join in? Do a little something nice for someone who least expects it once a day starting December 1, 2012. I will post what I did each day. 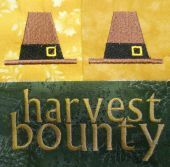 If you'd like to make one of these banners yourself for this Christmas, come over to Sew 'n Sew and join the monthly project club. It's great value for money and you will get a project each month - one month before it's released to the general embroidery community (of course at a higher price nudge nudge)! I hope you all have a wonderful weekend doing lots of crafty stuff! The cats gave me a seriously disdainful look, as only cats know how to do. Tucking their heads back up their bums, shielding their eyes from the light with their tails, they cuddled up once again between my knees. Which, if you must know, were spread apart in a very, very unladylike fashion. But we do what we must for the kitties. And how true - we do what we must for the kitties. 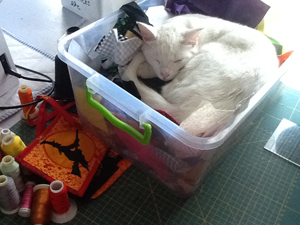 Which is why I found myself packing away the applique work I was doing because my darling white furry baby, Ponchielli, decided my scrap box was just too good to pass up on! She spent the entire day sleeping on scraps I'd saved from projects such as the Sewing Mat and Caddy I made to pop under my Bernina and the Halloween Mug Rugs which you can see in the photo at left. So I'm working on a bell pull for Christmas. I've never made one before, but I've always admired the one my Mom-in-Law made years ago. It will have angels and wise men and the baby Jesus in the manger. 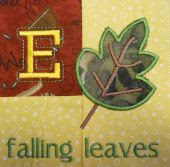 I'm thinking of embroidering some words like Noel and Peace on it too, but we'll see as I get stitching this weekend. Here's a sneak preview of the Angel block - what do you think? I'd love to have you post comments (good and bad) as constructive criticism is exactly what makes digitizers like myself do better work for our customers. I do hope you all have a great weekend sewing and embroidering, quilting and crafting! Like I wrote before, we're only just getting into the Halloween thing here in South Africa - and for me, it's just another good excuse to have a party! I hung this doorhanger on my sewing studio last year. The family were left in no doubt as to who was BOSS! Take a look here at the project. The Ghostly Fright Spooks were a great hit with the neighborhood kids too. I popped snap light sticks into balloons under the funky faces and they really were scary! 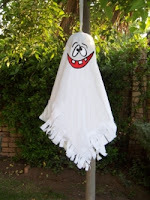 There are four ghostly faces which you can embroider along with a scary text message! Then, just for fun, all the HalloweenDoorhangers are at an unbelievable price because there is a BOOtiful discount running at Sew 'n Sew until the end of October 2012. Well, that's if for today. Hope to hear you're all having a witchfully fun stitching day! Whooo's there? Arrrrrrgh! Shriek shriek! What a proud granny Peg must be. She has a little artist in her midst! Collette drew a dinosaur just after she turned 3 years old and Peg asked me to digitize it into applique so that she can preserve it. Now I don't know much about dinosaurs, but this one certainly is a new species! 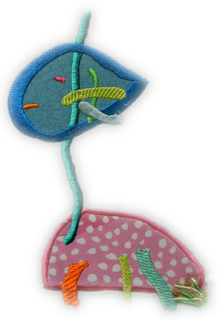 So I decided to name it Embroiderapplisaurus Kiddicreatous. I suggested to Peg that she gets Collette to draw more of them so that she could make a fabulous quilt. This dinosaur is a one-off and will not be for sale on www.sewnsew.co.za but if you would like me to digitize your own creations, please email me! I generally procrastinate about doing anything until I really really have to! It's not that I'm lazy, it's that I spend hours and hours deliberating about how I'm going to create something, and then, before I know it, it's time to get my A into G. And that is really when the creative juices get flowing! Which is where I found myself this week. Sorta procrastinating, but feeling creatively witchy. It's only 20 days to Halloween and I still haven't got anything done that I wanted to do this year. So, I'm putting a bunch of mug rugs together with a spooky flavour and I'll use these on the table outside with some orange candles and a plastic pumpkin or two. In South Africa, we don't really do the Trick or Treat thing. This has only become popular over the last couple of years, but where I live we don't have many children knocking on the door. So, instead, we will have a party where our friends will be asked to dress up. Here's a pic of what I looked like dressed up as a witch a couple of years ago! 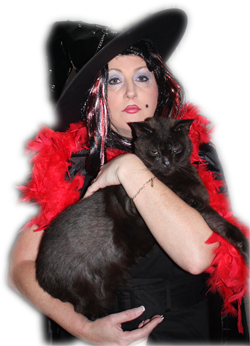 Even Mozart, my darling 19 year old boy (who is now in kitty heaven), obliged to being a witches cat for the day. The end of October is soooooo hot in South Africa that, instead of pumpkin soup, I will make a gazpacho. 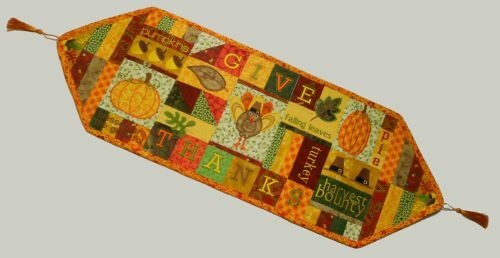 Mug rugs are all the rave at the moment and they are ideal to use up bits of fabric tucked away in your stash. There is some debate on the right size a mug rug should be. I've made them to fit the hoop on my embroidery machine, so these ones end up at 6"x8". I figure any bigger, the cookies and cakes will get bigger too and I'll just get fatter! 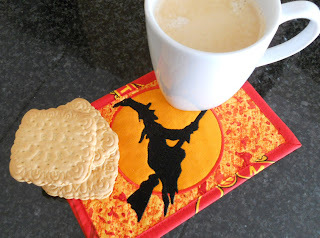 I embroidered a couple of Halloweeny Things some years ago and decided they needed resurrecting (ha ha, that's funny)I converted them into in the hoop embroidered and appliqued mug rugs which you can get the designs for here. The only thing not done in the hoop is the final binding. 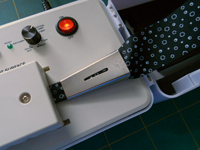 I still like a finished edge, so I made up some constrasting binding with my snazzy automatic I-don't-have-stress Simplicity Bias Binding Maker and stitched it on with my sewing machine. There are four designs in the set. Each one is made differently to the other so that they are quite unique and no one will argue about which belongs to whom! I can't decide which is my favorite. 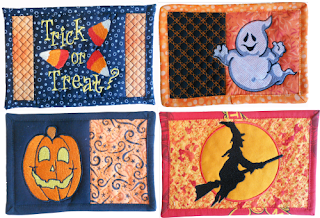 So if you would like to see the In The Hoop Halloweeny Things Mug Rugs, please click here and then, once you've made them, send me a pic to share please! Hope you have a great week stitching! 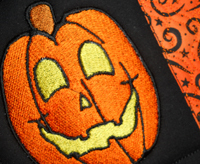 While down here in the South Hemisphere we have skipped Spring completely and headed straight into summer, our Northern Hemisphere embroiderers are gearing up for Fall and Halloween. 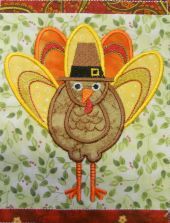 This means hot soups and stews, pumpkin pie and candy, so what better than to embroider and applique this fabulous table runner in preparation for Thanksgiving? The warm autumn colors are sure to add to the inviting taste sensations you will prepare as you sit down to dinner with your family gathered close. The table runner is completed in sections in the hoop, with just a wee bit of traditional stitching to make it up. Then finish it off with a tassle on each end and a lovely binded edge. 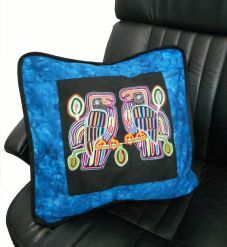 Take a look at www.sewnsew.co.za and become a member of the Monthly Project Club to download this great project and create a family heirloom. PS: Kelly Medina, the graphic designer, whose artwork inspired this fall runner, posted a lovely message showing her customers what I'd made. Take a look at it here. Thank you Kelly for sharing! I joined a wonderful group of inspired writers about three months ago. We each published our works on Amazon.com in the Kindle Store on 1 September 2012. I love a good laugh and I love a good joke. Mostly I love a good story. But I found writing a novel to be quite complex. I lost the plot (literally) and the characters took on a life of their own; some of them just irritating me no end! So I went back to the drawing board and wrote a memoir. 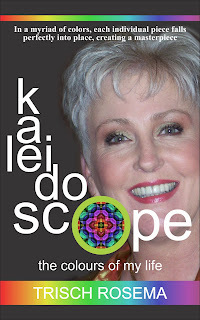 I'd love for you to go take a look at it in the Amazon store and read the 'click to look inside" section. And then, if you would, please leave a comment and a 'like' if you liked it. By the way - typical blonde that I am, when uploading it, I put hubby Peter as the author... why? I have no idea! But the good news is, if you don't like it, then he's to blame! Hahahaha! HAPPY SPRING DAY! To those in the Southern Hemisphere! I do hope it was a great day for you. I spent the day trying to upload the new Monthly Project Club to www.sewnsew.co.za but, being blonde, it took me a while to figure out why I couldn't access my data... my son had removed my hard drive which I store it all on! He's a typical IT guy - puts things in, takes 'em out and never remembers to warn me. So, here it is... and what do you think? 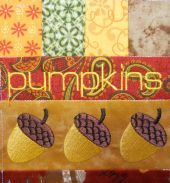 If you'd like to see more, click on the photo - it'll take you to www.sewnsew.co.za's projects. Please leave a comment for me - I love knowing what others think of my work. I also take constructive criticism very well ... it's for my own benefit... so hit me, friends! We've just gone straight into summer in South Africa and the studio has started heating up... in more ways than one! 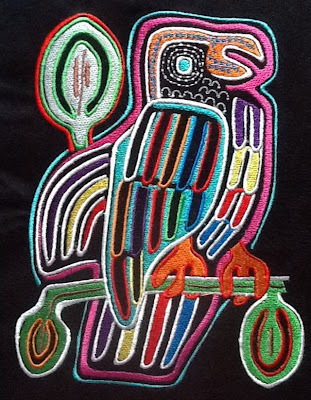 The Kuna, from the San Blas Islands, create a reverse applique panel which they then stitch into and wear traditionally as shirts, but along with nose rings, blue sarongs and great flair. I've been so inspired by their art that I've tried to use it somehow in machine embroidery. Sew, here I go, back to my cave, with another design running around in my head. I'll post more again soon.